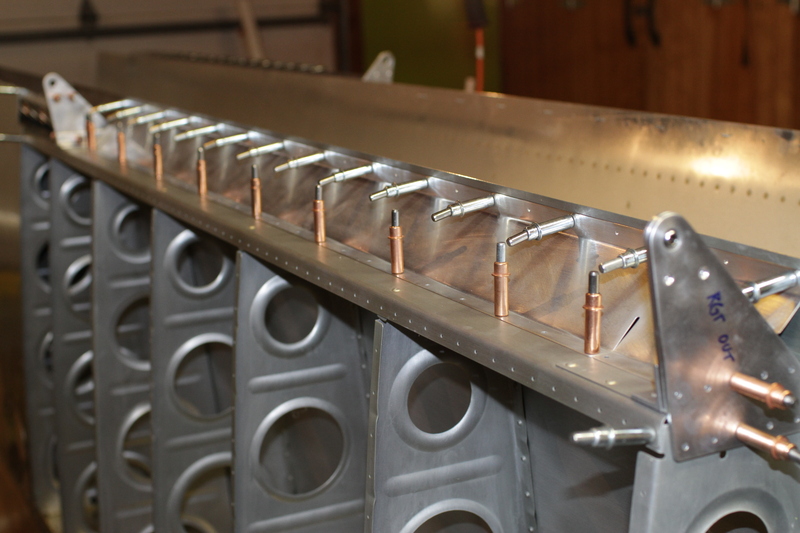 As promised, here are some photos of the recently finished sub assemblies on the wing. 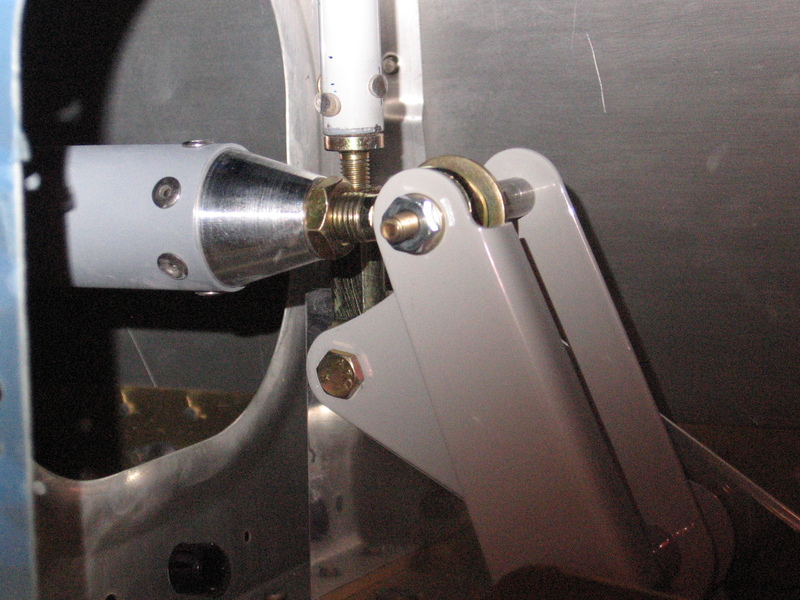 As I wrote in the previous post, safety wiring those two bolts that mount the servo to the bracket was a bear. We’ll see what the tech counsellor says about the quality soon 🙂 Other than that it’s a pretty straight ahead install. I got both the tanks closed finally. They still need pressure testing, but I’ll wait till later. I hope I never have to take these things off again. The screws are pretty soft and the philips heads mangle easily. 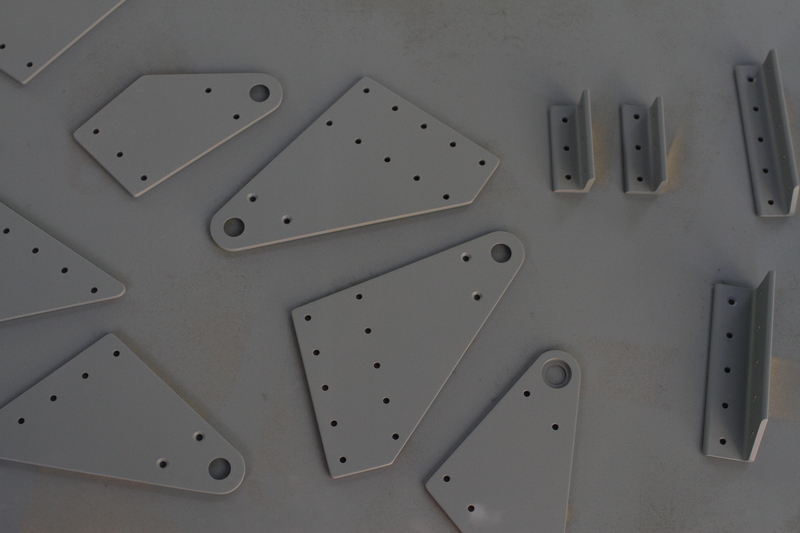 I went back and primed the ends of the smaller aileron control arms per Van’s suggestion. One end of each will be exposed to the elements so it is prudent here. Pretty straight ahead. I used the template to align the position then rough cut the hole using unibits and the Dremel. With sand drums on the Dremel and the mini files, I smoothed everything to final shape. Match drilled and countersunk the pitot mounting plate and we are all done. 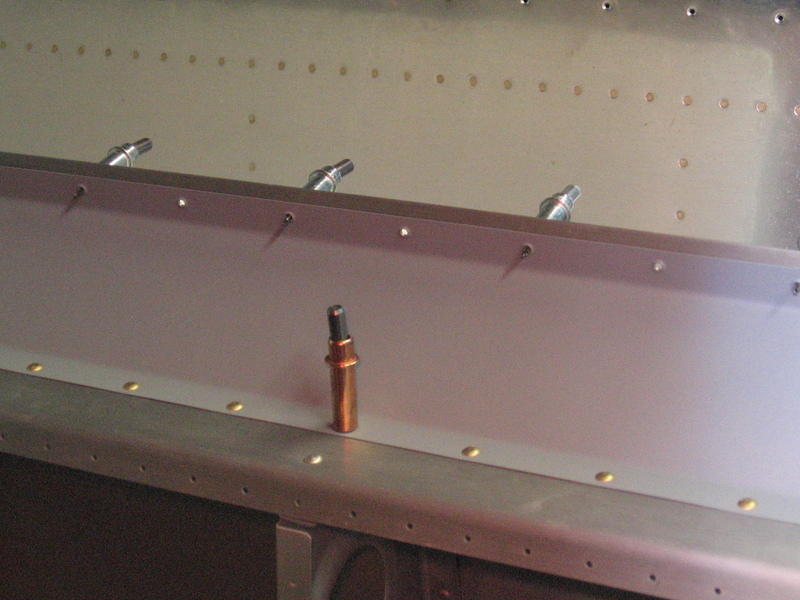 I’ll have to wait to rivet until riveting the skin and running the pitot lines. 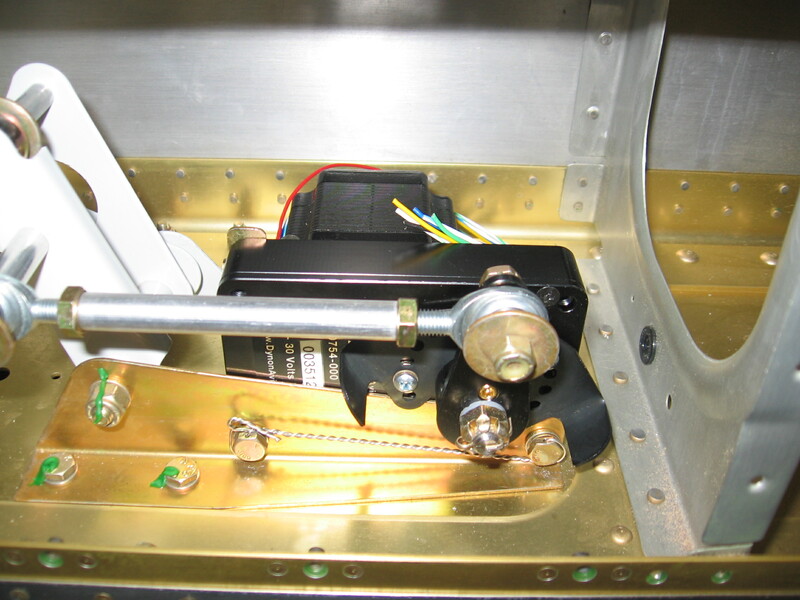 Here’s the business end of the servo arm where it mounts into the aileron control horn at mid span on the right wing. I started to put the inspection plates back on and twisted the head off of one of the small screws. Argh! So not I’ll either “ez out” the screw or remove the nut plate and reinstall a new one. For now though I am just putting the wings in the corner. Now back to the fuse!!! Work has been picking up again so I spent the better part of the week finishing up details. The left wing gap fairing and flap brace are now installed. All the spacers and hardware were made and assembled for mounting the ailerons. Same with the bellcrank hardware. I greased and torqued the bellcrank bolts as well. I adjusted the smaller control arms relative to the wood guides mounted on the wings ends. Finally I went back to trim and bend the flap hinge pins. I have safetied them on yet as I expect to take them on and off a few more times. Now I need to assess the wire runs. Beautiful day in Seattle today. The family went on a beach walk/swimming pool day leaving dear old dad to wrestle with the aluminum in the garage. Awesome! 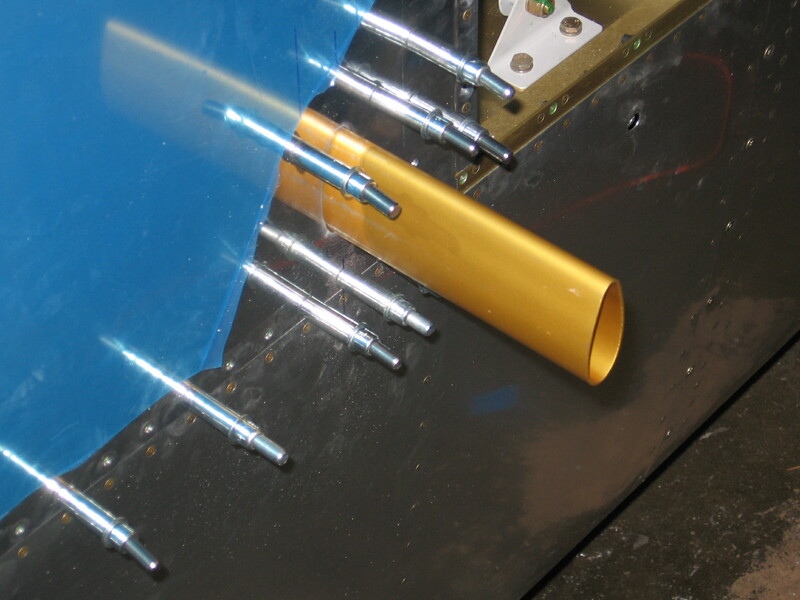 I started by finishing the riveting on the right wing aileron gap faring. I got all the hardware together and mounted everything back on and clecoed on the bottom skin. 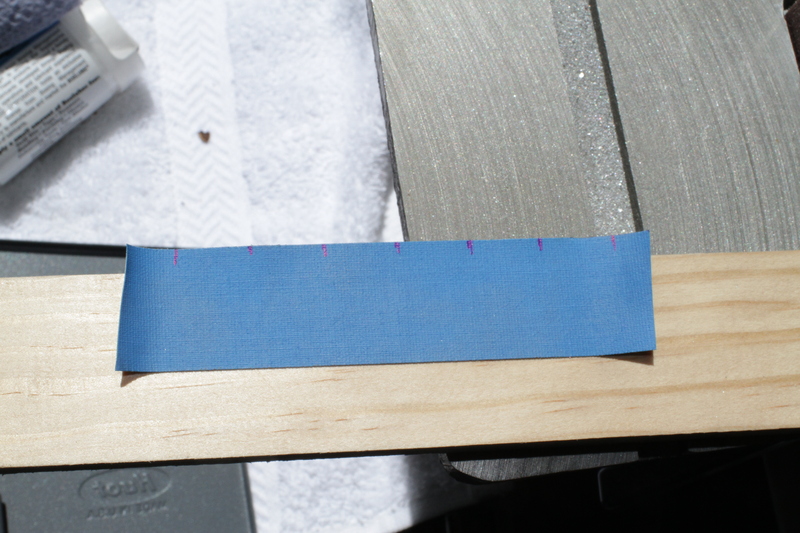 The trailing edges of the flap and aileron are much closer now (within about 1/16″) than when I tried it yesterday. Whew. Last cleco standing on the right aileron gap faring. I moved on to finishing out the left wing aileron and flap mounting. Countersinking all the holes on the flap brace was tedious but otherwise painless. I wnet back and squeezed the leftover aileron mount brackets with the new 4″ squeezer and closed out the day by getting all the left wing parts cleoced and ready to rivet. The edge difference between the flap and the aileron got much better after getting everything put together. The internal linkage for the left wing. Yes that is a hardware store nut. Just temporary so I don't waste the aircraft nuts. I got a few hours in today. Worked on details in the right wing. The flap hinge was riveted. I made all the spacers for the bellcrank and ailerons hinges. Tonight I started to rivet the aileron gap faring as well. There are a couple of issues I need to look into though. 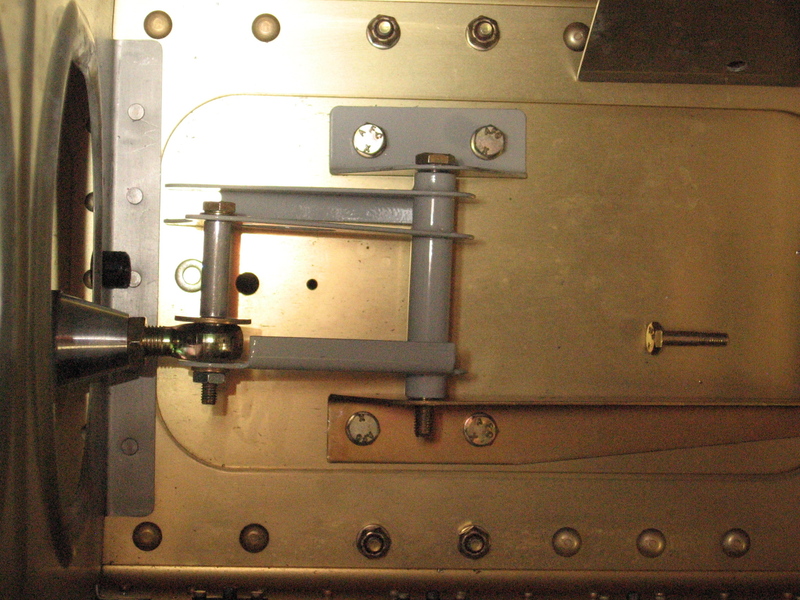 First, the bellcrank looks slightly off 90 degrees relative to the bottom of the wing. This is the side with the servo. I think the dynon bracket for the servo that replaces the stock bracket might have been drilled slightly off. This can wait a little bit so I’m not totally sure yet if I need to do anything here. The second issue is, despite my careful attempts to line up the flap and aileron trailing edges, they might be off by 3/16 or so. I won’t know for sure till I put the bottom skin on. Not much I can do now anyway. My just another unique feature for my airplane. 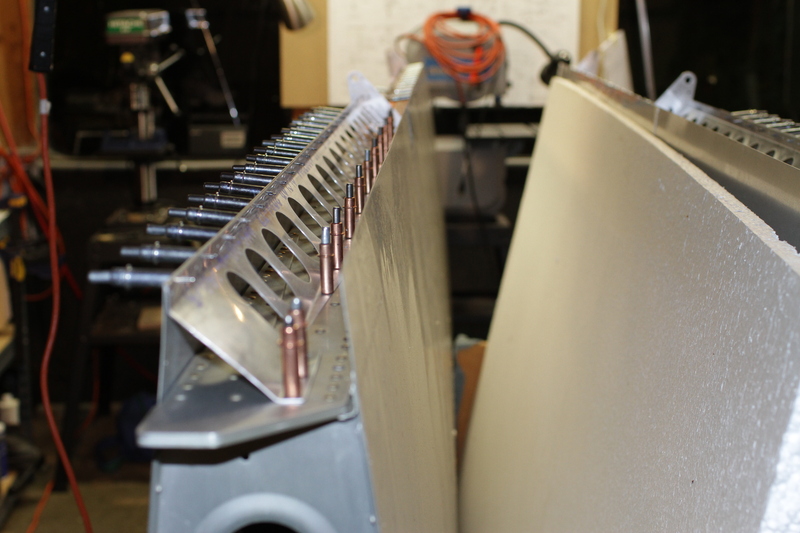 The new 4″ yoke worked perfectly at petting to the hard to reach rivets on the aileron mounts. Packing it in for the evening. I think I might get a whole day tomorrow on the project. Yay. With the bellcrank bushing drilled out and the metal prep work finished on the aileron mounts, I started by riveting the aileron mounts together and then on the wing. I have the left a few of the rivets undone as I wasn’t able to squeeze them. After butchering a couple of bucked rivets, I decided to order 4″ yoke to get to these rivets later. Next up I prepped the aileron and flap braces and matched drilled them to the structure. A down the line shot of the flap brace ready for priming. Onto the control arms. There are two on each wing. 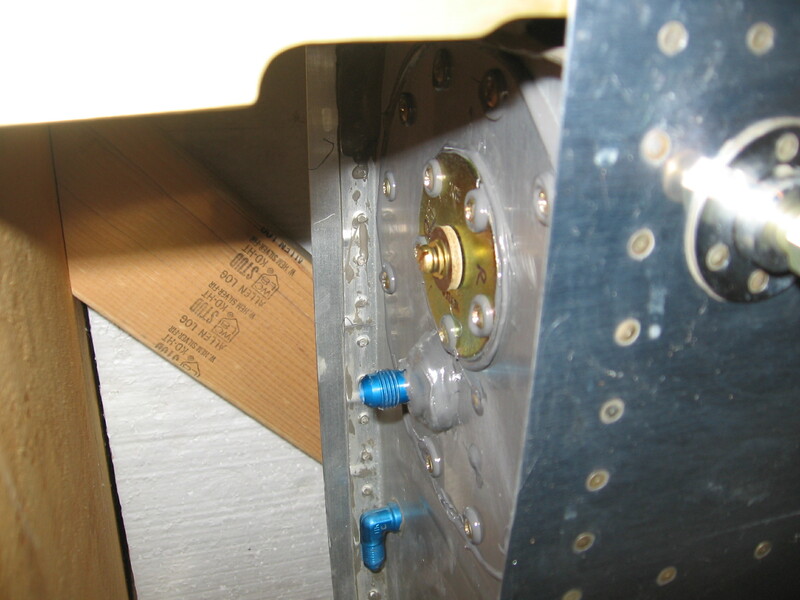 A small steel one connects aileron to the bellcrank. 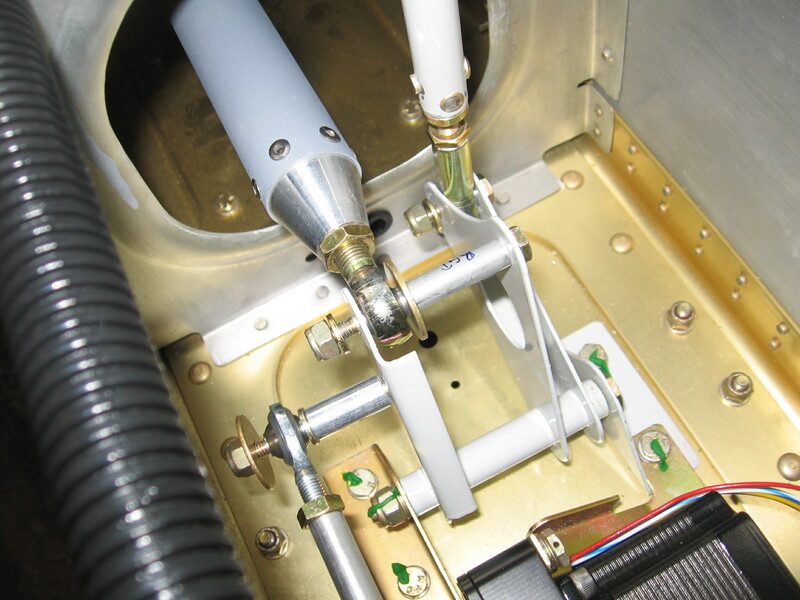 A larger aluminum control rod connects the bellcrank to the center fuse control columns. First, I laid out where the hole needed to be drilled using painter tape to mark the circumference and then evenly divding that for the two rivets on the steel rods or the 6 pop rivets on each end of the aluminum arms. The V-block and some boelube on the drill press made quick work of the drilling. Measure the circumference then divide by 6 and mark the tape. 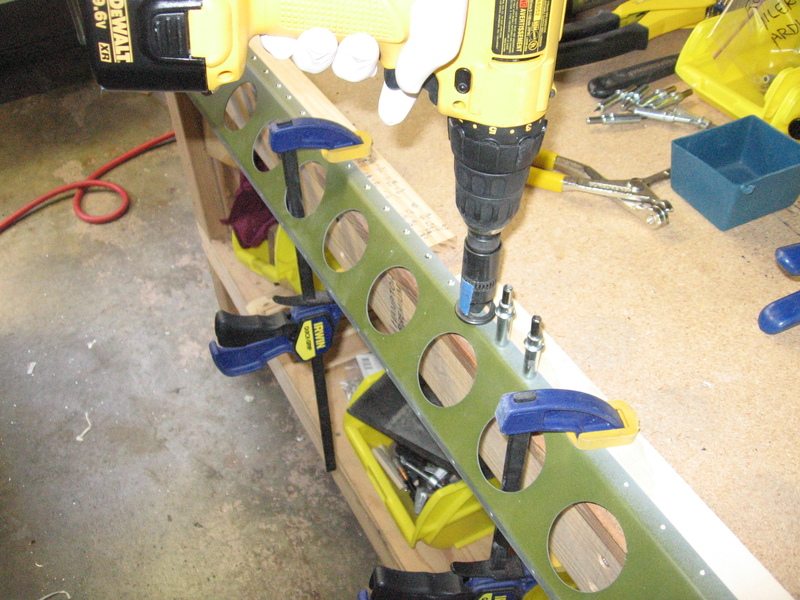 Using the V-block to assist in drilling the holes. 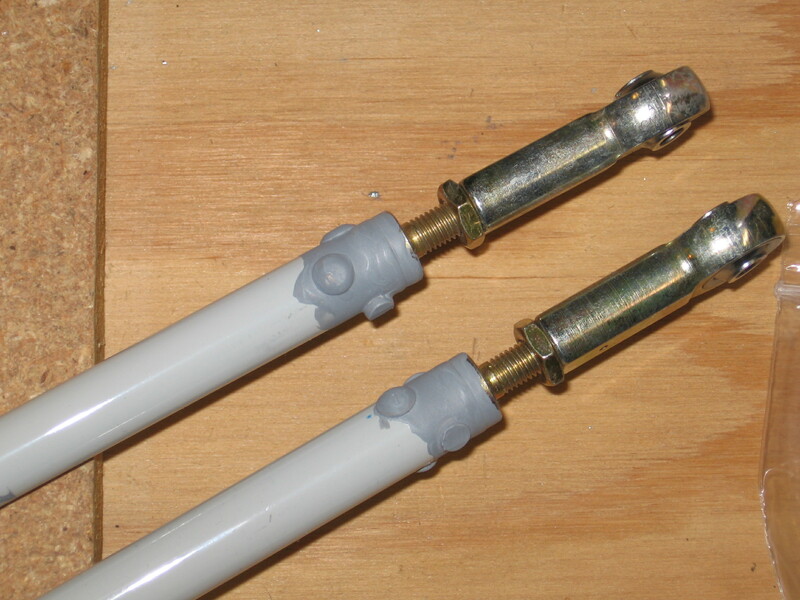 Then I matched drill the rod end in place. 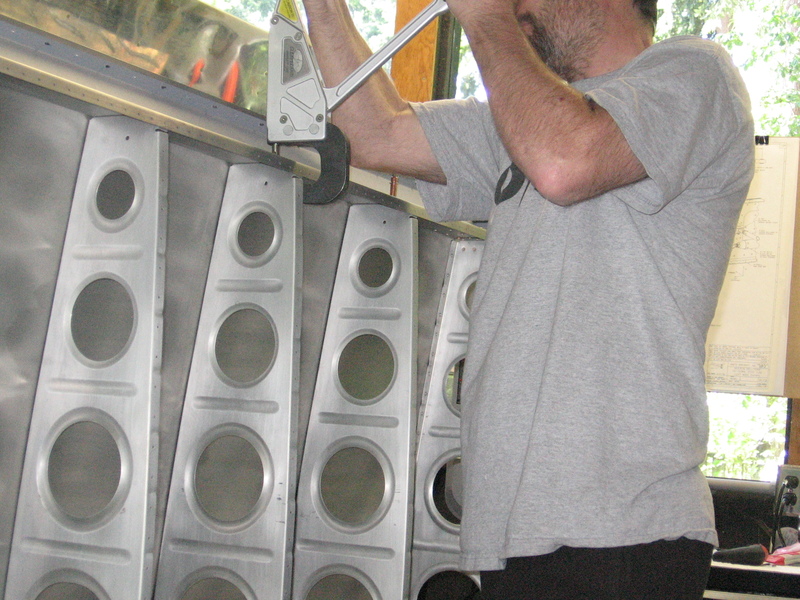 I left the riveting till later so I could move on to installing the steel mounting brackets on the ailerons and flaps. These were pretty straight forward, though I used a combination of drill press and match drilling to ensure good line up and clean holes for the all the bolts. After temp. mounting the ailerons, I got out the primer for the flap and aileron braces and mounts. Done and done. Now onto the flap hinges. I took some time to line up the ailerons into neutral position use the wood stringer and tool hole method Van’s suggests in the instructions. 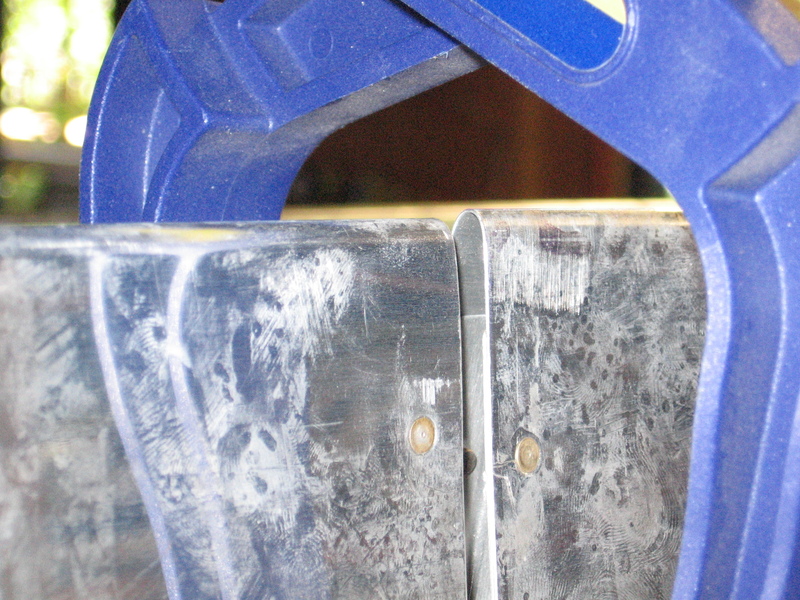 This way I was able to fit the hinge and allow for the 1/4″ space between flap and aileron edges. With that mark on both wings, I could line the hinge up accurately and drill at the holes out. Priming: The bittersweet moment of building. It means your close to assembling something but it's a PITA. 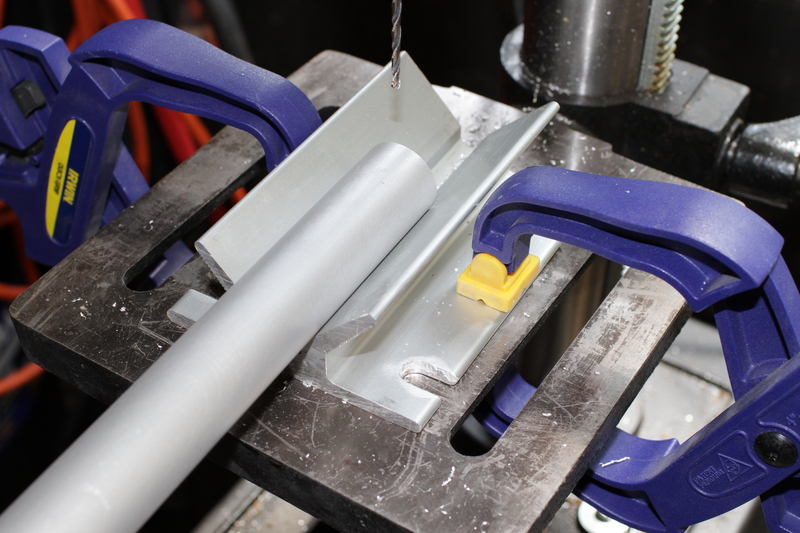 With that out of the way, I worked on countersinking the flap brace. There’s a small curve ball for the QB wings at the root end of each wing. The standard build instructions spec universal head rivets but with the QB they want us to use flush rivets. I emailed Van’s. Joe said to just follow the instructions for my kit. OK flush cherry max it is. I couldn’t tell you why though. 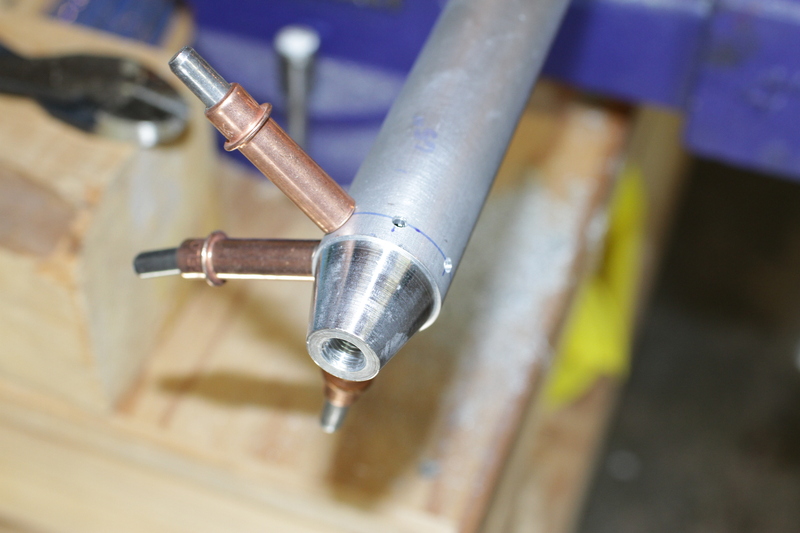 Next up more riveting on the braces, finishing out the control rods and getting all the washers and spacers in place.